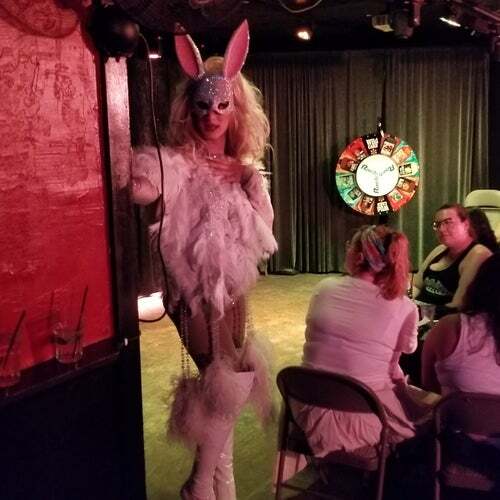 Here you'll find a huge patio, karaoke, darts, table top arcade games, a juke box, lots of video screens, and drag shows. Near: at Indian School Rd. Had to give this one extra stars... The bar is so old and rustic, it reminds me of the stonewall in new York. There&#039;s one bar, a separate performance room (drag queens as old as the place) and a reasonably sized pato with smokers. Fun and has charm that most others don&#039;t.
Pet Friendly on the weekends! Friendly customers and employees, drag show and singing bartenders. Glad I stopped in while I was visiting az from sfbay area! Newly renovated, great looking with smoking patio. Great drink specials, Drag shows, Karaoke and FREE Poker almost daily. Friendly neighborhood crowd.